Still looking for that perfect gift for a child you know? Something exciting, hands-on, and educational for a budding inventor? Something they will remember for years to come? STEM Saturdays can make the magic of Christmas and the wonder of learning a year round gift. Northern Illinois University’s STEM Outreach has gift options ready for you – a diverse new schedule of STEM Saturday classes designed to get young people fired up about science, technology, engineering, and math. These engaging, affordable classes––which cover everything from robotics and 3D printing to virtual reality and stop-motion animation––are designed for students age 7 and up, with some recommended for the 10-14 age group. Each class takes place at NIU’s DeKalb campus over one or two Saturdays this winter or spring. The full list of offerings, complete with dates, location, and registration information, is available online. No matter the subject, the emphasis is on learning by doing, using trial and error to reach “eureka!” moments of invention and discovery. Participants in “The Science of Music” will build their own instruments. Those who opt for “Electronics and Soldering” will wire their own functional circuits. In the popular series of “Arduinos” classes, students will program responsive microcomputers that translate user input into the control of lights, motors, and more. Three different “STEM Divas” classes will introduce young women ages 7 to 10 to the STEM fields. This popular series of classes gets female students engaged in STEM with activities like using 3D printers to make custom earrings. Even the youngest innovators get a class. 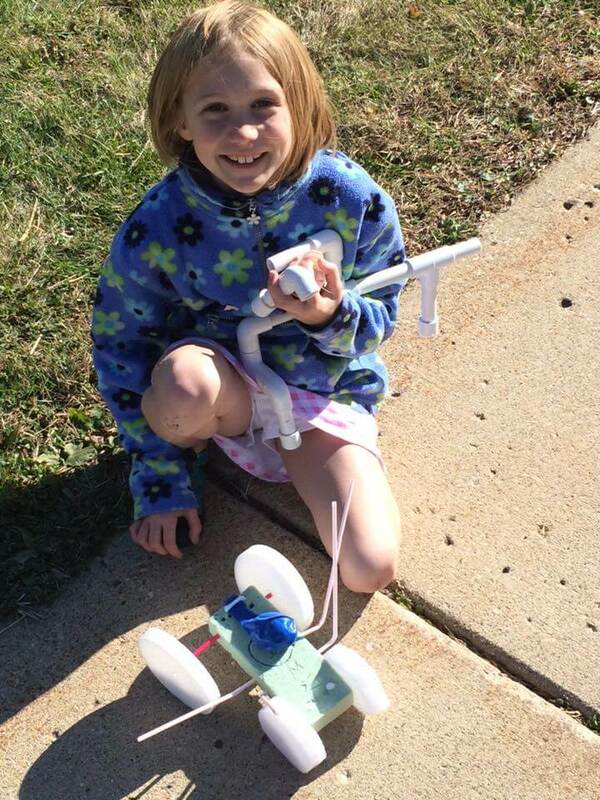 “Stem Jr.” introduces students as young as 7 to the basic concepts of engineering and design with hands-on challenges. Each student will leave with a completed project. As with all STEM Saturday classes, family members are welcome to tag along and make learning a family adventure. The complete schedule is available online. For more information, contact Jeremy Benson at (815) 753-0533 or jjbenson@niu.edu. Act soon to get a registration slip with your child’s name on it under the tree in time!